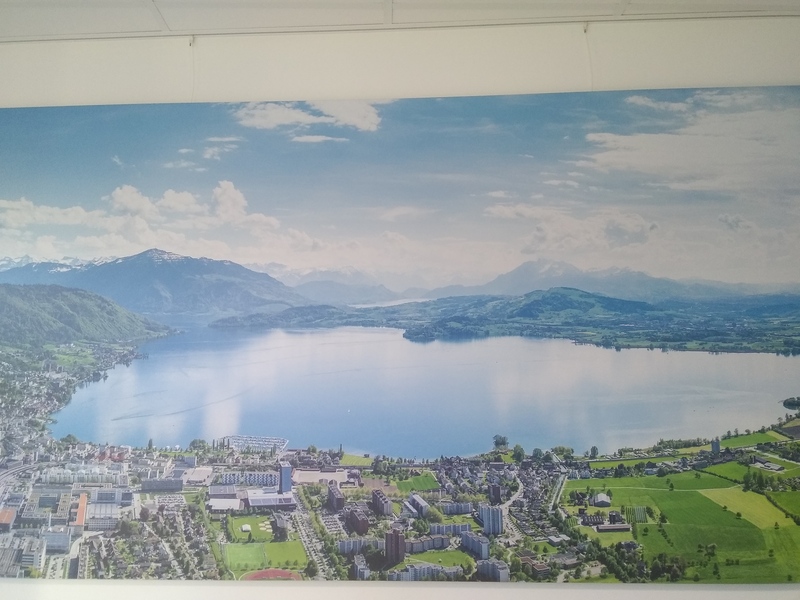 Trivia: What was the birthplace of Ethereum: Waterloo or Zug? The right answer is both. 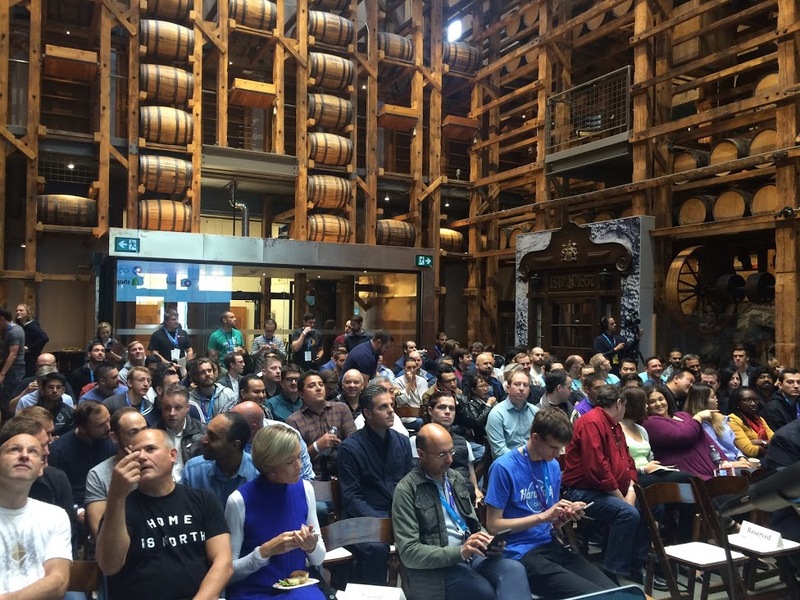 The first one could be argued from the technical perspective (Vitalik enrolled in Computer Science at the University of Waterloo before he dropped out), and the second from a jurisdictional side (the Ethereum Foundation Stiftung Ethereum is based in Zug). With the theme “From Waterloo to Zug”, I’m reflecting on the famous book by Thomas Friedman, From Beirut to Jerusalem when he covered and reflected on these 2 regions during his early journalistic reporting years. Indeed, I’ve just spent 3 days in Waterloo, Ontario at the amazing ETHWaterloo hackathon event (where I was a speaker, moderator and judge), followed straight by another 3 days in Zug, Switzerland at the Melonport M0 conference where I participated in a lively panel covering the regulatory aspects of blockchain-based asset trading and related token offerings. 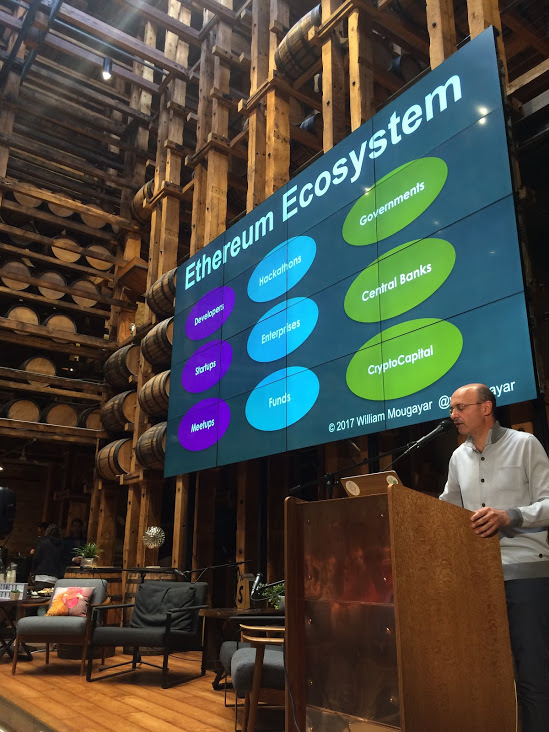 In Waterloo, my presentation covered the Ethereum Ecosystem, where I enumerated a number of statistics related to the sheer depth and breadth of that ecosystem that is, without any doubt the large blockchain ecosystem, by orders of magnitudes. For comparison purposes, it has been estimated that the number of Ethereum-savvy developers is 30X the number of Hyperledger developers (Hyperledger, being a distant 2nd in the enterprise segment space). I started by jokingly asking the audience if they knew what Ethereum’s most important feature was. Then, I said this was a trick question, because Ethereum’s most important feature is NOT a feature. Ethereum’s most important feature is in the title of my talk: its ECOSYSTEM. 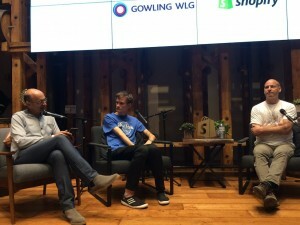 And this is the video to my talk which was followed by a panel discussion with Vitalik Buterin, Joseph Lubin and Julie Maupin. We covered a range of issues. I particularly liked Vitalik’s answer when I asked him what to make of the seemingly excessive attention on the token topic. Then, off to Zug, to the Melonport conference, an event entirely focused on the topic of decentralized asset management and funds. The regulatory panel I participated included Luka Müller-, probably the single lawyer with the most experience covering token generation events (TGE is a preferred naming convention to ICOs). Luka’s Zurich-based law firm MME was retained by the Ethereum Foundation in its early days in 2014, to figure out its crypto-related jurisdictional status, and that was a pivotal moment in Ethereum’s evolution, and perhaps for the rest of the ecosystem who followed that model. More recently, Luka was the principal author of the just-published Blockchain Crypto Property framework (BCP), a thorough classification of the many token models, from a legal point of view. On that same day, Melonport announced the formation of a new Swiss Trade Association, the Multichain Asset Management Association (MAMA). 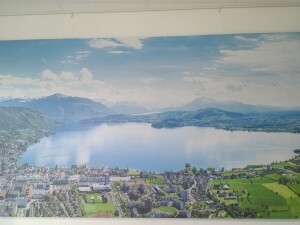 Initiated by Melonport AG, MME Legal Tax Compliance & Bussmann Advisory with the support of Canton of Zug Economic Affairs, MAMA’s 20 founding members will function as a trade body working towards a new vision for asset management using blockchain and other supporting decentralized technologies. My venture arm, Virtual Capital Ventures is one of the early 20 foundation members, and I was pleased to support them, because I believe in the future of decentralized trading, even if my recently launched WMX Blockchain Index is managed on a semi-decentralized platform. The imminent explosion of new asset liquidity via the tokenization of everything will ultimately lead to more or less systemic risk? Time to wind down and return to Toronto which is reeling from Sibos and Swell, 2 conferences that took place within blocks of each other, representing the old finance world (Sibos) vs. the new world of crypto (Ripple), and where I’m looking forward to catching-up with Oliver Bussmann, the President of the Crypto Valley Association who attended and presented at both events. It’s ironic that he was in Toronto while I was in Zug. I will update him on what happened in Zug, while he will update me on what took place in Toronto. The cryptoworld bridges are getting shorter and shorter. We are in it together to change the world, one region, and one country at a time.